Broadway, film and television superstar Vanessa Williams lit up the stage at the Valley Performing Arts Center, after a pre-concert reception hosted by the CSUN Black Alumni Association. 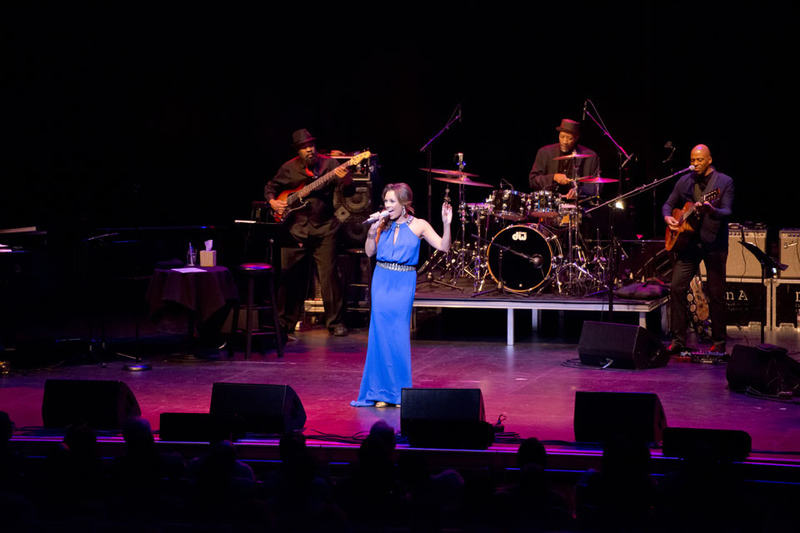 Read more about the Vanessa Williams concert. For the first time in CSUN history a pair of Matadors were selected in the same Major League Soccer SuperDraft, as both Sagi Lev-Ari and Edwin Rivas were drafted just a couple picks apart in the second round. Read more about the MLS SuperDraft. CSUN’s Armenian Studies Program will host a one-day conference, “The Armenian Genocide: Accounting and Accountability,” on Saturday, Jan. 31. CSUN has the largest number of students of Armenian background outside of Armenia. Read more about the conference. Thu., Jan. 22, 7 p.m.
Money, family obligations and discrimination all play key roles in discouraging high school students from persisting on to and in college, according to a new study by CSUN child and adolescent development professor Virginia Huynh. CSUN is 1,000 likes away from becoming the first CSU campus to reach 100,000 on Facebook. Follow the link to keep up with the latest CSUN news! Join the AIS Alumni chapter for dinner and networking on Friday, Jan. 23 at 6:30 p.m. at the Orange Grove Bistro.